MISSION: Reduce deaths associated with accidental overdose from prescription pain medication and reduce suffering associated with PTSD and chronic pain in Veterans and all patients. We do it through education of the Veteran, civilian, medical and legislative communities and scientific verification of cannabis strains. VISION is a world where the suffering of those who serve our country can be mitigated by medical cannabis that does not further damage their bodies, minds and lives, or cause the death of more than 22 Veterans a day via suicide. OUR FOUNDER, Joshua Littrell, is a United States Air Force Combat Veteran who served two tours overseas (Operation Iraqi Freedom and Enduring Freedom) as a Bio-Environmental Engineer focusing on Occupational Health and Environmental Protection in peacetime and Nuclear Biological and Chemical (NBC) detection and analysis in wartime, Joshua discovered medical cannabis as a treatment for chronic pain and degenerative disc disease as well as PTSD. The effects of cannabis transformed Joshua's life, allowing him to significantly reduce the amount of prescription medication provided to him by the Veterans Administration and live a clear-headed and productive life he'd feared Iost to chronic pain and PTSD. 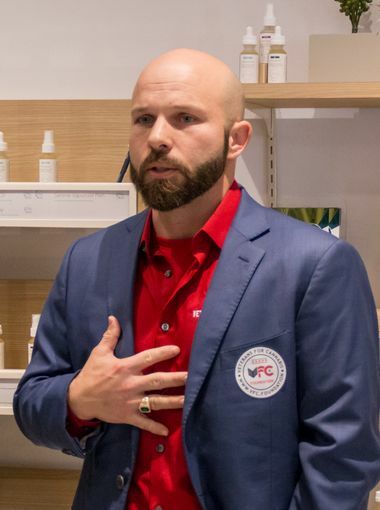 Armed with a new appreciation for cannabis's effectiveness and safety and a passion to serve his fellow Veterans, Joshua has worked tirelessly for the past few years to promote legalization of medical cannabis in his home state of Georgia and other states in the South. His goal: to end the needless deaths associated with accidental prescription pain medication overdose and reduce the number of suicides associated with PTSD and Chronic Pain.